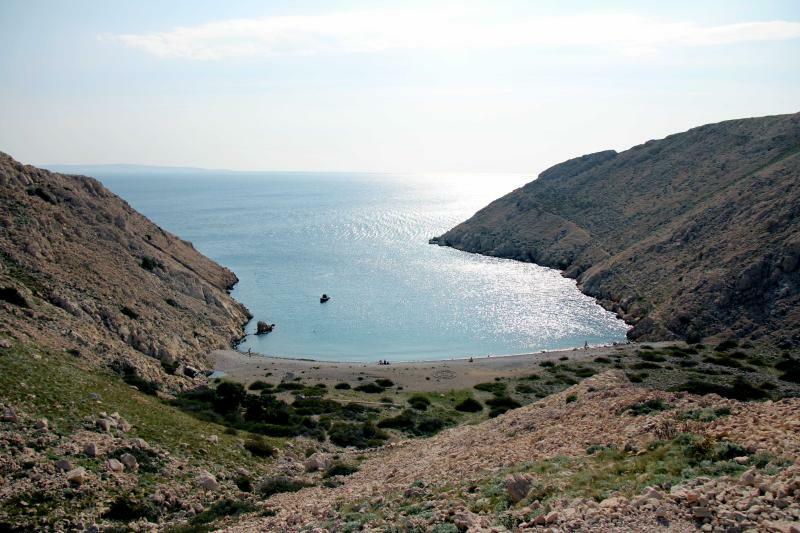 If you are planning to visit island Krk and you would like to combine the enjoyment on the beach with a short hike, I recommend you to go on a rout towards Bay Vela Draga. 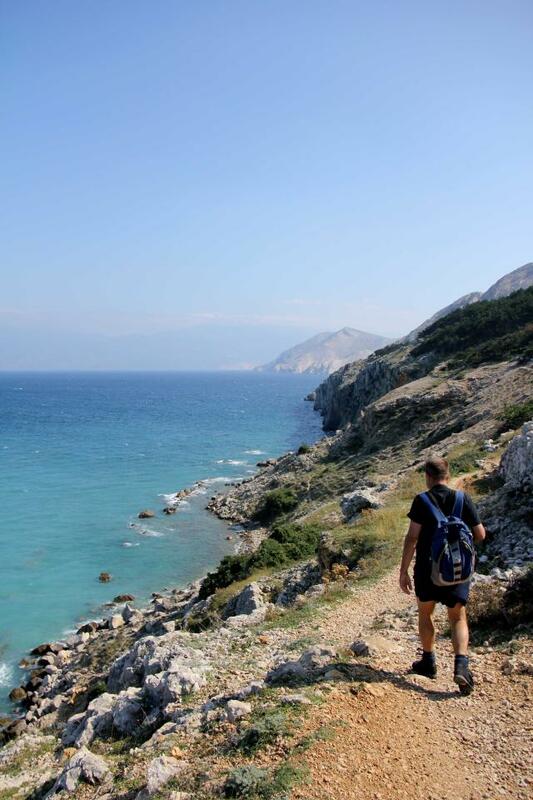 If you are planning to visit island Krk and you would like to combine the enjoyment on the beach with a short hike, I recommend you to go on a rout towards Bay Vela Draga. Because our goal was to explore the most interesting and hidden corners, that are usually not really known to tourists, we decided to explore the path towards Bay Vela Draga. If you are looking towards the sea, on the right side, towards the edge of the most famous Baška beach, is the start of the route. You climb a little hill that leads pass the “free ride” area, which is great for jumping with cross-country bikes – as we were told by young boys who were editing the area. While you pass that, you continue your route through this beautiful pine forest, all the way to rocky slopes, which holds a spectacular view on the town of Baška. I assure you that you will be fascinated by the dark blue sea and majestic cliffs, which you will see at the beginning of the path. 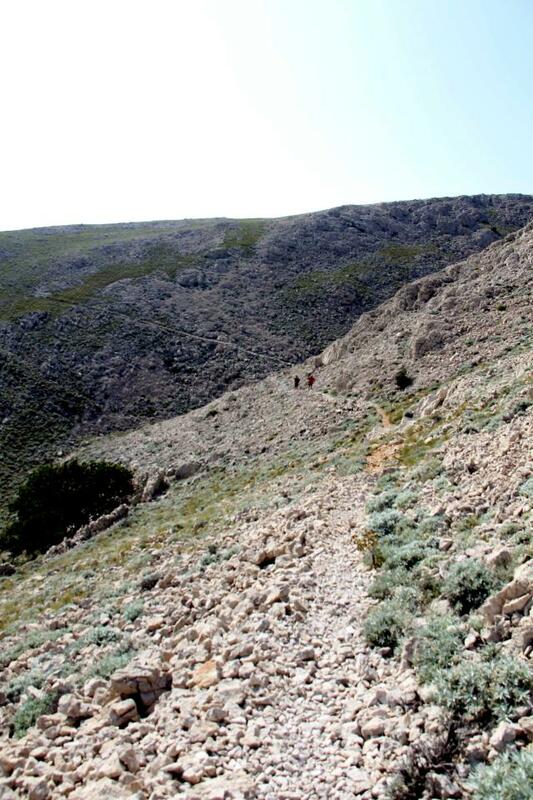 Soon you will go through the shepherd door, and then climb towards a bit steeper and more rocky area, on which you will hike for a few minutes. Once you will reach the top, you will see a signpost that will show you the way towards Bay Vela Draga, which is about 3km away from that point. If you will look back on this point you are going to see the rocky area overlooking the sea. The path you’re about to walk on is a bit different. In front of you there will be a more shepherd area with some stone built scarps, which protects the land from the wind. In the distance, along the way, you will notice a lighthouse on the island Prvić,as well as some other directions, which are there to explore. The trail is well marked. Very soon we came to the next signpost, which showed us the way towards Bay Vela Draga and its beach, which was about 1km away. We were looking into the bay and excitingly getting closer and closer to the beach. View of the bay was wonderful. On the beach someone toyed with the rocks and created some kind of sign, that looked pretty interesting from the top. On the right side of the beach, if you look towards the sea there are two kind of half-demolished houses, built of stone. Visitors like to use them as a dressing room or for drying clothes. Of course after 4 kilometers of hiking the water looked really appealing, so we went into the sea. We used a mask and noticed some interesting fish of different colors and a lot of sea hedgehogs, which just proves that the water in this area is extremely clean. I had no doubt about that, because while swimming I could really feel the purity of the water, one more proof was crystal clear visibility, for which might be the reason the fact that beneath the walls there is a spring of Karst water. If you decided to go on the route ahead of bay Vela Draga you will arrive at the port of bay Barcola, where you can as well swim. Since it began to get dark we did not continued towards that bay but rather ran towards home. The way back was very windy, which is on such slopes to be expected, so it does not cost you a thing, if you take some windshield jacket with you on the route.